Morehouse College’s board of trustees voted unanimously to appoint Harold Martin Jr. as its new interim president, the school announced in a Thursday press conference. 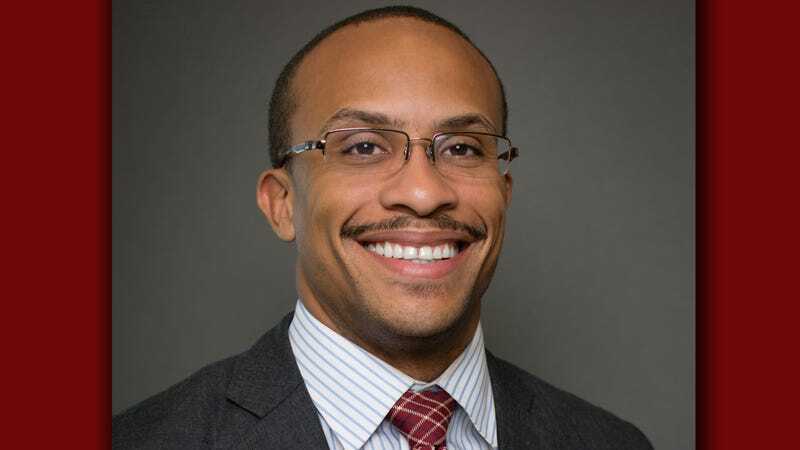 Martin, a 2002 alumnus of Morehouse who later earned an M.B.A. from Harvard Business School and a law degree from Yale, is the school’s third president in as many months. He takes over after the sudden death earlier this month of interim President William J. “Bill” Taggart. The college has been searching for a president since a recent controversy in which Morehouse’s faculty expressed a “no confidence” vote in the faculty, prompting some of the institution’s more prominent alumni—including Samuel L. Jackson and Spike Lee—to call for change. The result was a dismantling of leadership, from President John S. Wilson to the entire board of trustees. The male-only historically black college recently celebrated its 150th anniversary.